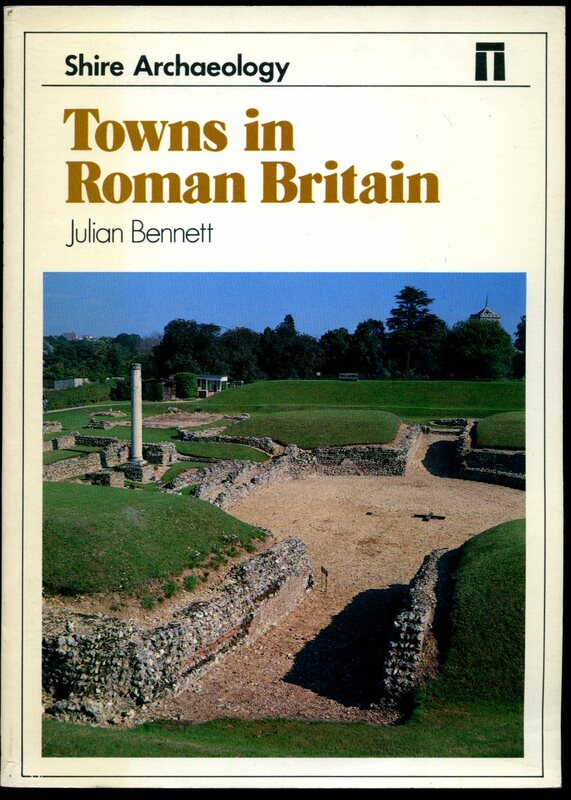 Published by Shire Publications Ltd., Church Street, Princes Risborough, Buckinghamshire First Edition 1980. 1980. Published by Book Club Associates, London First Thus Edition 1978. 1978. First thus edition hard back binding in publisher's original green cloth covers, gilt title and author lettering to the spine. 8vo. 9½'' x 6¼''. Contains 286 printed pages of text with 32 pages of monochrome plates and 52 line illustrations. Fine condition book in Fine condition dust wrapper. SIGNED by the author to the title page 'John Wacher.' Dust wrapper supplied in archive acetate film protection, it does not adhere to the book or to the dust wrapper. We currently hold in stock 15 other books by this author. Member of the P.B.F.A. 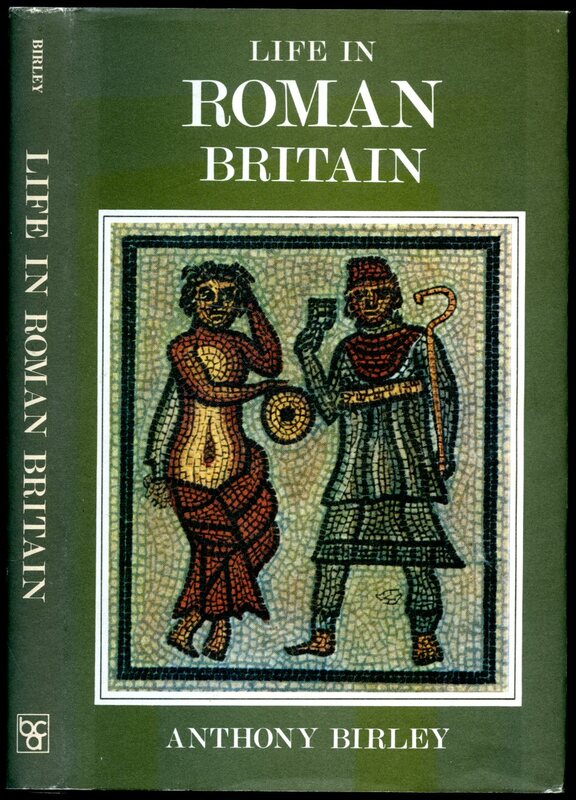 Published by B. T. Batsford Ltd., 4 Fitzhardinge Street, Portman Square, London First Edition 1987. 1987. Published by British Broadcasting Corporation, London circa 1950. 1950. Publisher's original illustrated card wrap covers [soft back]. 8vo. 8'' x 5½''. Contains 32 (including the covers) printed pages of text with monochrome maps and photographs throughout. In Very Good condition, no dust wrapper as issued. Member of the P.B.F.A. Published by Croom Helm Ltd., Beckenham, Kent First Edition 1984. 1984. First thus edition hard back binding in publisher's original green cloth covers, gilt title and author lettering to the spine. 8vo. 9½'' x 6¼''. Contains 286 printed pages of text with 32 pages of monochrome plates and 52 line illustrations. Fine condition book in Fine condition dust wrapper. Dust wrapper supplied in archive acetate film protection, it does not adhere to the book or to the dust wrapper. We currently hold in stock 15 other books by this author. Member of the P.B.F.A. 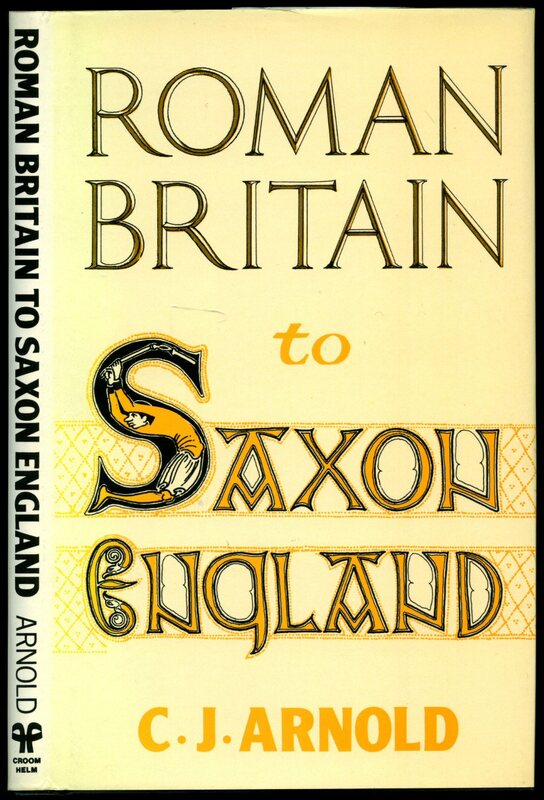 Published by Spurbooks Ltd., 1 Station Road, Bourne End, Buckinghamshire First Edition 1973. 1973. 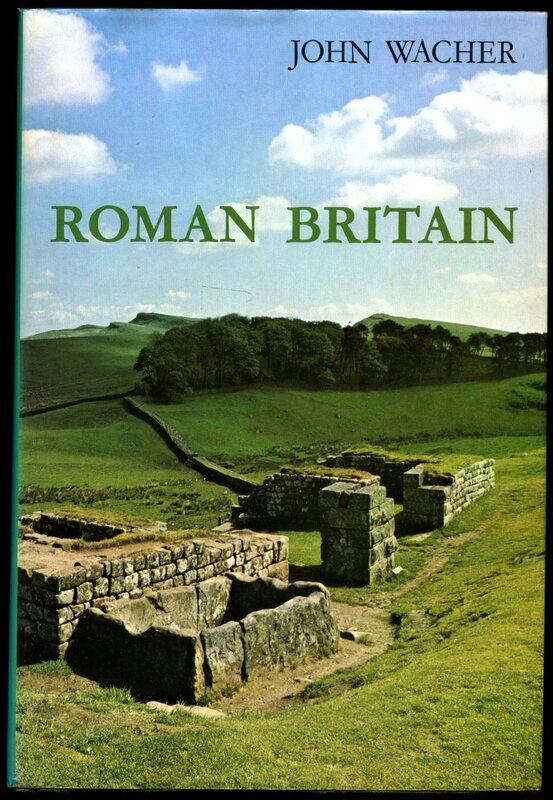 Published by Dalesman Books, Clapham, North Yorkshire First Edition 1978. 1978. 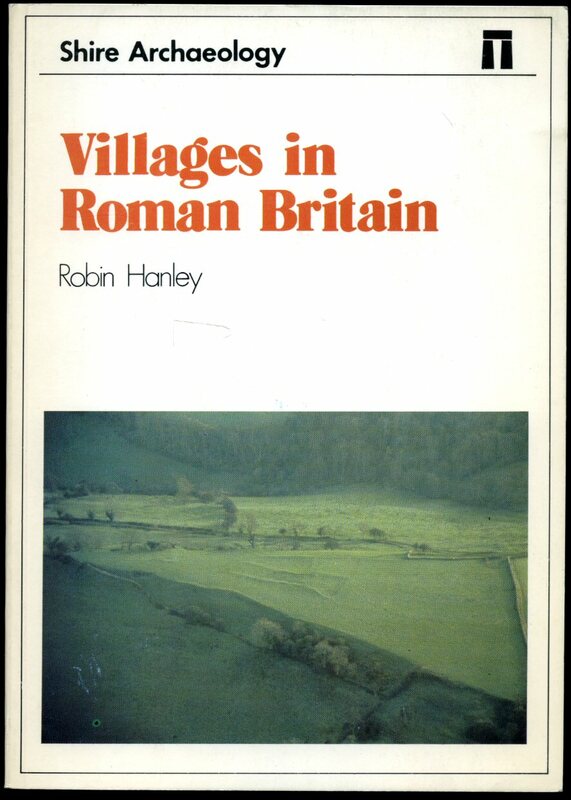 Published by Shire Publications Ltd., Church Street, Princes Risborough, Buckinghamshire First Edition 1979. 1979. 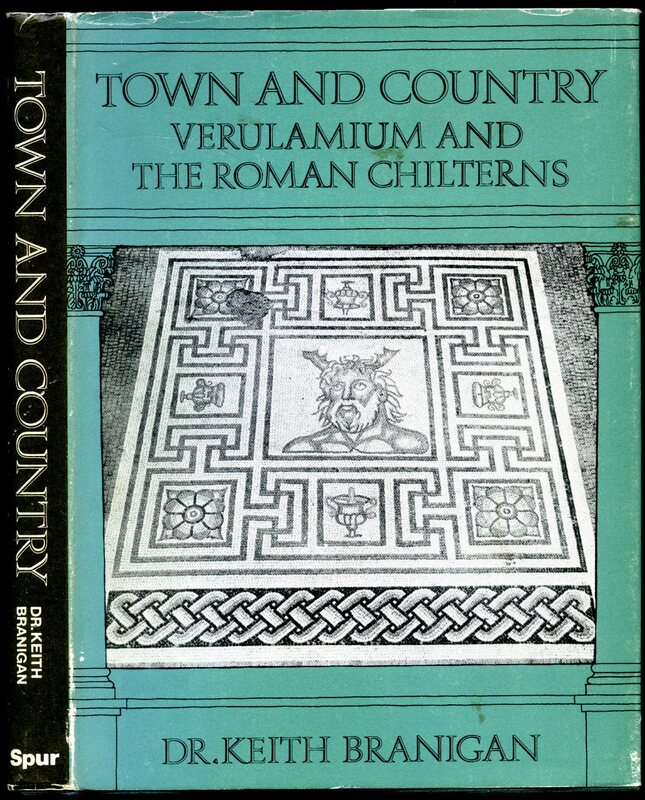 Published by Shire Publications Ltd., Church Street, Princes Risborough, Buckinghamshire First Edition 1987. 1987. 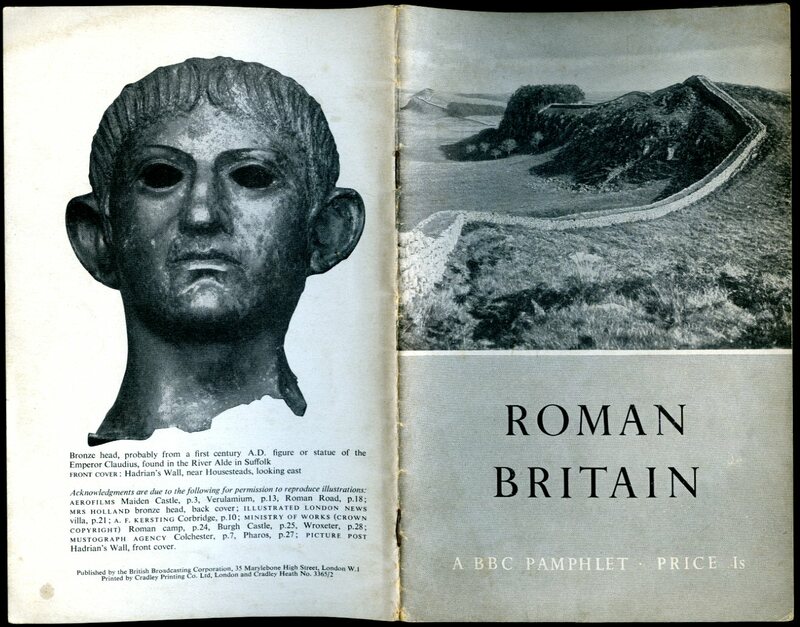 Published by The Trustees of the British Museum, London 1951. 1951. Hard back binding in publisher's original very thick camel paper covered boards, brown lettering to the spine and the upper panel. 8vo 8½'' x 5¼'' 82 pp. Monochrome illustrations throughout. In Very Good clean and bright condition, no dust wrapper as published. Member of the P.B.F.A. 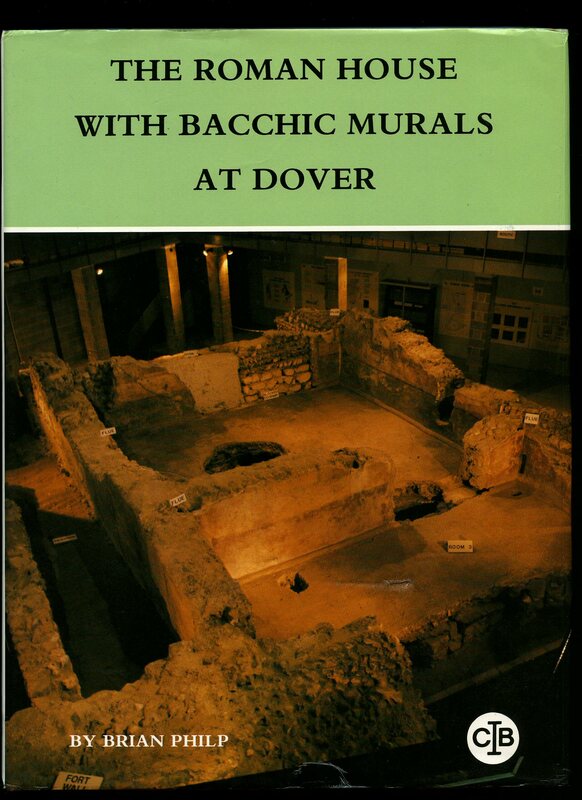 The Roman House with Bacchic Murals at Dover: The discovery, excavation, preservation and detailed analysis of a substantially complete Roman house (popularly known as the Painted House) containing large areas of in situ and fallen painted wall-plaster, together with related structures and finds, forming part of the extra-mural settlement of the Classis Britannia forts at Dover) Fifth Research Report in the Kent Monograph Series. 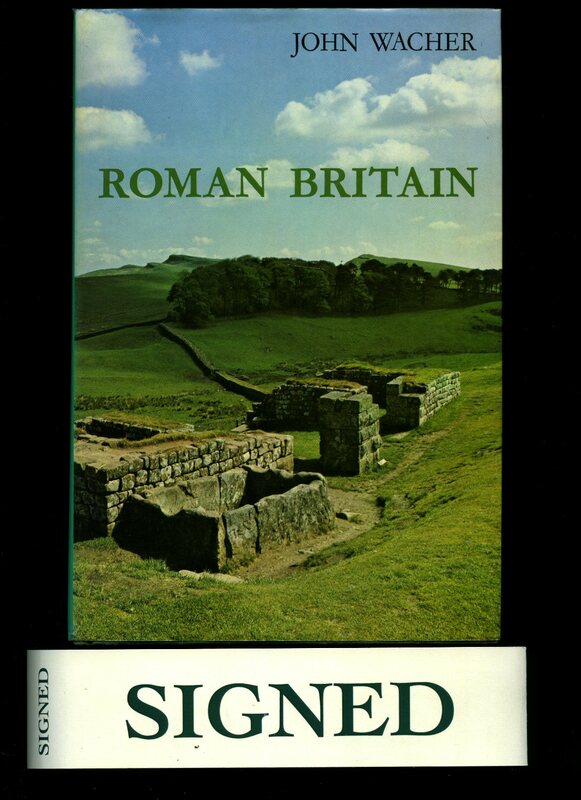 Published by Fifth Research Report of the Kent Archaeological Rescue Unit Dover Castle, Kent First Edition 1989. Dover 1989. First edition hard back binding in publisher's original orange cloth covers, gilt lettering to the spine. Quarto 11'' x 8¼'' 291 pp followed by plates. ISBN 0947831061. Colour and monochrome illustrations throughout, large fold-out plans. Very Good condition book, in Very Good condition dust wrapper with small crease lines to the corners and bottom edge, spine not faded. Dust wrapper without any tears or chips and supplied in archive acetate film protection, this is not adhered to the book or to the dust wrapper and can easily be removed should you so wish. Member of the P.B.F.A. 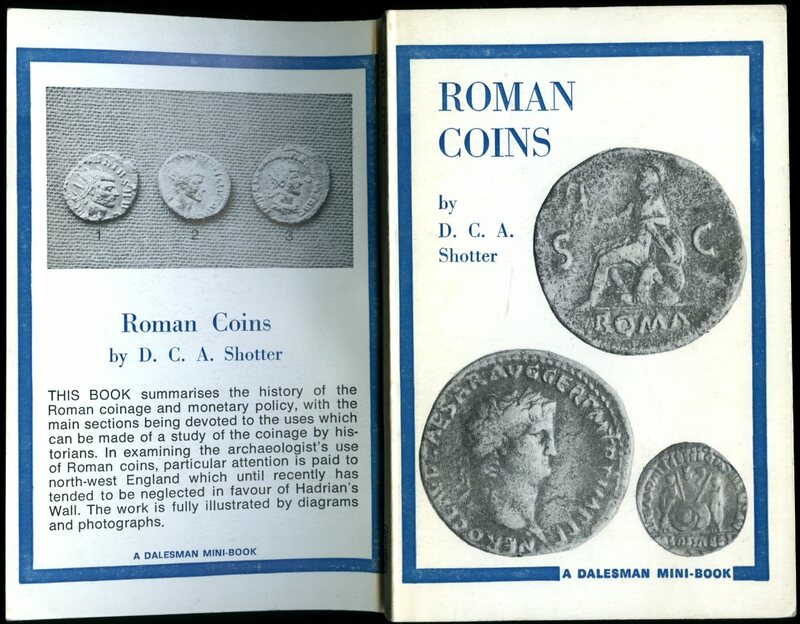 Published by the Society for the Promotion of Roman Studies, 31-34 Gordon Square, London First Edition 1967. 1967. First edition in publisher's original Dorset cream and black printed card wrap covers [soft back]. 8vo. 11¼'' x 7¾''. Contains 312 printed pages of text with figures and photographic plates. In near Fine condition, no dust wrapper as issued. 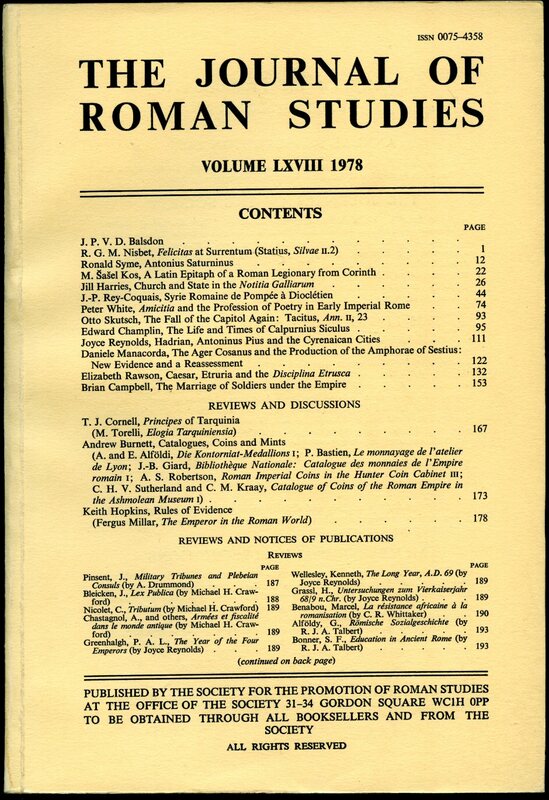 We currently hold in stock over 35 volumes of this Journal from 1966 to 2006. 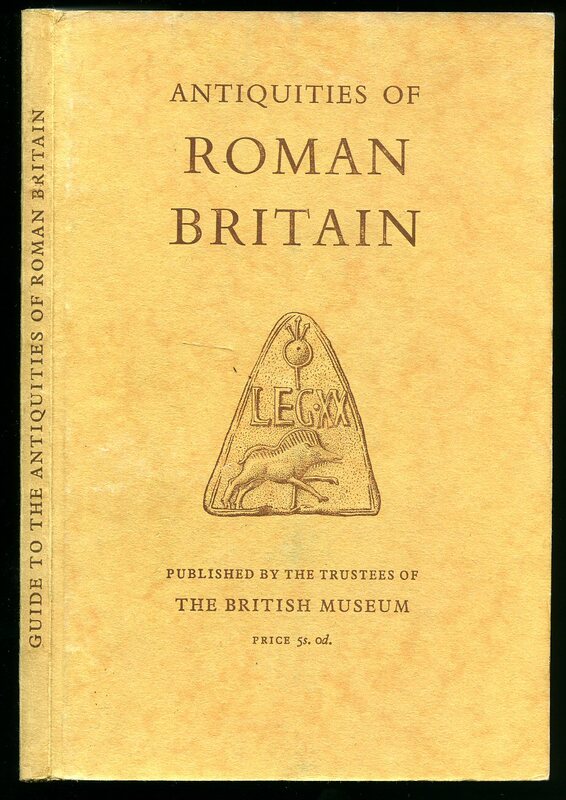 Professor William S. Hanson's copy [Professor of Roman Archaeology, University of Glasgow], with his name inside the front cover. Member of the P.B.F.A. 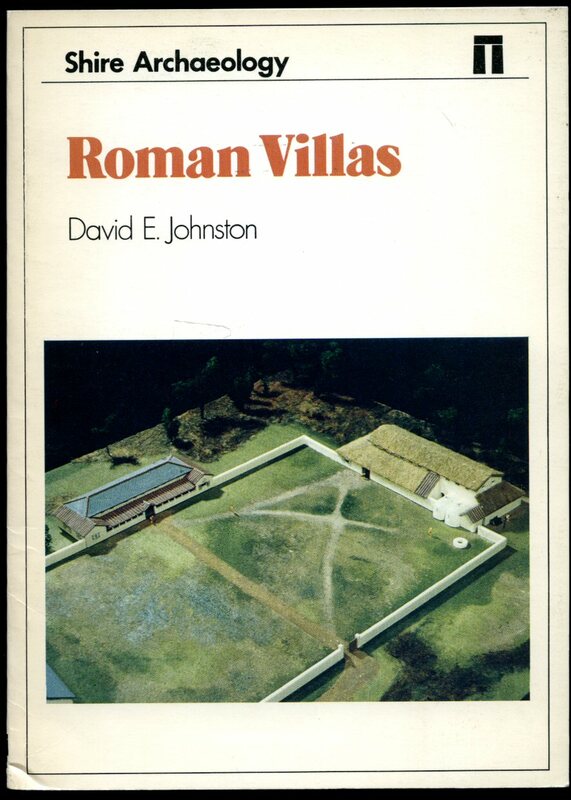 Published by the Society for the Promotion of Roman Studies, 31-34 Gordon Square, London First Edition 1978. 1978. First edition in publisher's original Dorset cream and black printed card wrap covers [soft back]. 8vo. 10¾'' x 7¼''. Contains 259 printed pages of text with figures and photographic plates. In Fine condition, no dust wrapper as issued. 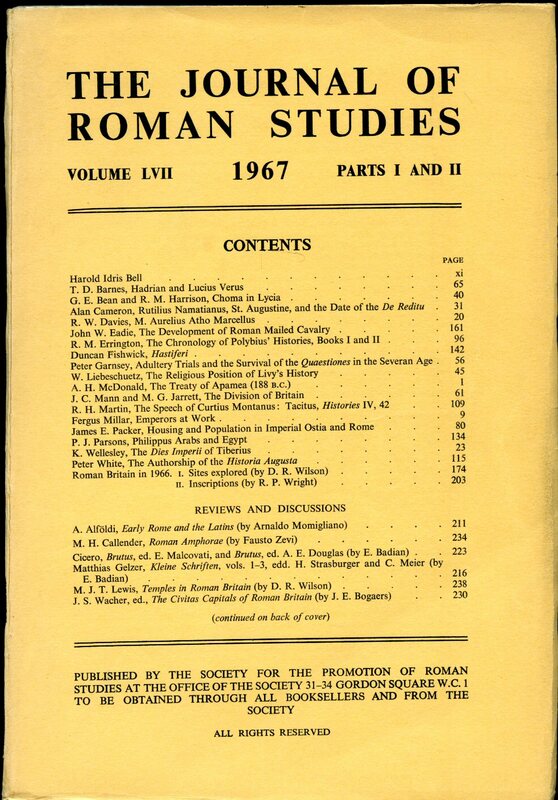 We currently hold in stock over 35 volumes of this Journal from 1966 to 2006. 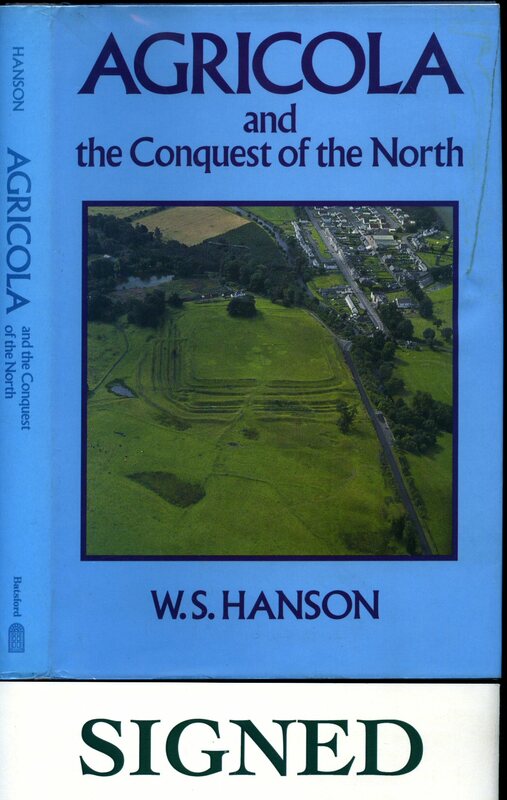 Professor William S. Hanson's copy [Professor of Roman Archaeology, University of Glasgow], with his name inside the front cover. Member of the P.B.F.A. Published by Book Club Associates, London Reprinted 1976. 1976. Hard back binding in publisher's original black paper covered boards, gilt title and author lettering to the spine. 8vo. 8½'' x 6''. Contains 176 printed pages of text with monochrome photographs throughout. Ink name and private library plate to the front free end paper. Fine condition book in near Fine condition dust wrapper, not price clipped. Dust wrapper supplied in archive acetate film protection, it does not adhere to the book or to the dust wrapper. Member of the P.B.F.A.